There is a very special, deep terror in truly believing the vehicle you're driving is about to flip over. 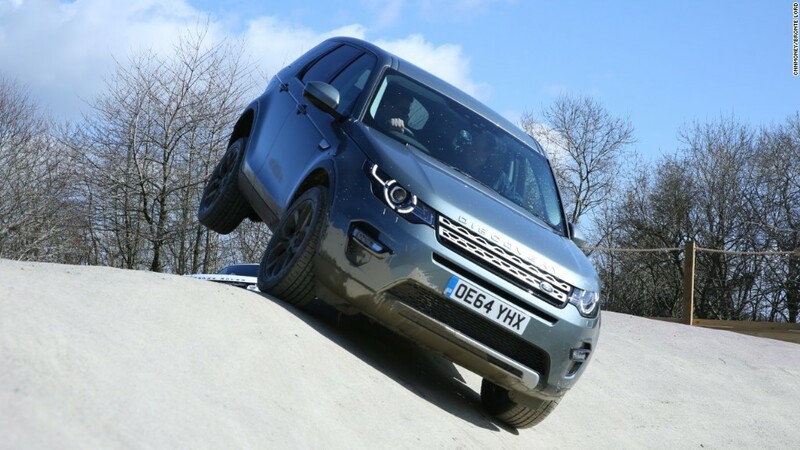 I was driving a Land Rover Discovery into something a lot like a skateboard park. It's a massive concrete ditch on the grounds of Eastnor Castle in the western part of England. 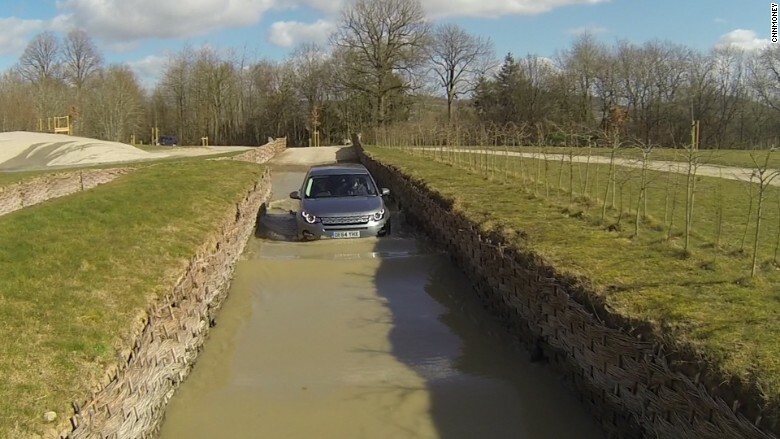 This ditch is where Jaguar Land Rover demonstrates just how good its SUVs are at going very, very sideways. They also like to have fun scaring the living bejeesus out of novice off-roaders. "Off the brake. Off the brake," said my Land Rover guide Alex Brown. I thought we were about to go gently down the side of the ditch. We weren't. And he knew it. I couldn't see that my front wheel was hanging in the air. It was getting further and further from the down-sloping ground with each inch I went forward until ... gravity. The front wheel rushed to the ground while the opposite back wheel flew into the air. The tasty breakfast scone in my stomach started looking for a way out. For just a half second, I was sure I had killed us both. Then Alex started laughing at my completely unprofessional on-camera outburst. Then I laughed, too, because, at that moment, it seemed really funny not to be dead. And so we went on, fording artificial streams, bouncing over man-made ruts and scrambling up and down actual forest trails where I imagined Robin Hood might leap down onto the luggage rack at any moment. In all, Land Rover operates 60 miles of off-road trails over 11 different woodlands on the 5,500 acre private estate. The place is open six days a week, every week. "We've got Land Rovers here, so we'll run whatever the weather," said David Griffiths, who manages the property for Land Rover. All initial testing on new Land Rover SUVs -- as well as Jaguar's new SUV -- is done here before they're sent to the Middle East and Scandinavia for extreme temperature tests. This leads to the question: Why even have an off-road proving ground? 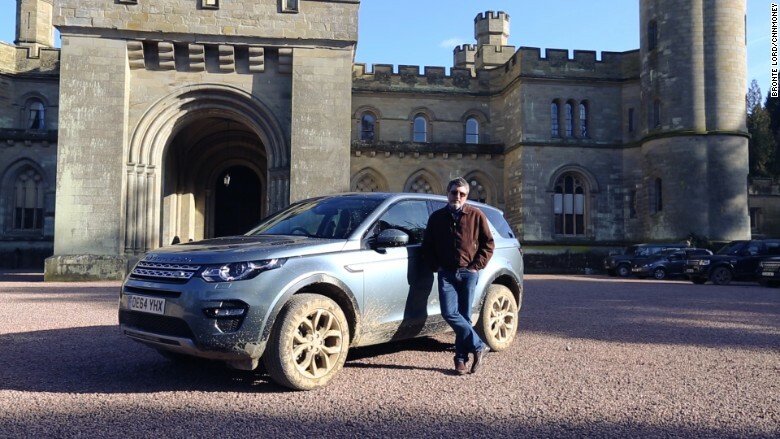 I mean, really, most people who buy an SUV will never do anything close to what goes on at Eastnor Castle. Other automakers acknowledge this fact. That is why most modern SUVs are, let's face it, tall hatchback cars, no more suited to driving off-road then I am to going through Navy SEAL training. Most Land Rover buyers are no different. They might entertain fantasies of actually leaving their paved suburban roads and charging off between the trees in the local municipal park, but they'll never do it. It's this place, Eastnor Castle, that keep those fantasies alive. It's here that Land Rover proves that its vehicles could do all those tough, cool things you imagine them doing even though you're too chicken to actually do them. And you should be. Because these things are scary. But the Land Rover is totally cool with it.